Recalled vehicles are cars or other motor vehicles that have a defective part or possibly unsafe component for which the manufacturer has sent out notices to the owners. These notices warn the owner of the particular make, model and year that their vehicle does, or may, contain a defect that is potentially dangerous and to bring the vehicle to a dealer for a free inspection and repair. 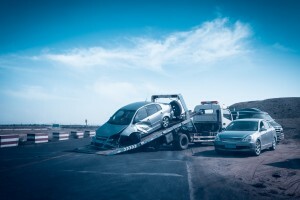 Although you may have received such a notice pertaining to your car but did nothing, what happens in the event you are in an accident with that vehicle? Are you responsible for your own injuries? If you live in the Boston area and were in a car accident where you suspect that a defective part or system on the vehicle that is the subject of a recall caused you to lose control or otherwise was a factor in the accident, contact car accident law firm Burns & Jain. A recall campaign is one where the manufacturer or the National Highway Traffic Safety Administration (NHTSA) sends out notices to the vehicle owners about the defect and that the owner should promptly have the vehicle repaired at a dealership at no cost. The recall can be done at the discretion of the manufacturer or by the NHTSA. To initiate one, the NHTSA will first analyze or screen data indicating a high number of failures, injuries or fatalities related to a single vehicle component or piece of equipment on certain makes and models of a particular year or years and then determine whether to issue the recall. Another method of initiating the recall is by the NHTSA’s receipt of a petition alleging that a defect exists in a certain make and model of vehicles. If its investigation confirms the defect’s existence and its danger to safety, then it will compel the manufacturer to issue the recall. A manufacturer is required by law to issue the recall notices by mailing it to every consumer who bought the car. This could mean sending millions of such letters. These are some of the more recent recalls that have occurred. According to CNN, about 10% of all American cars and trucks on the road have been recalled at some point. If a manufacturer suspects there is a defect that is causing a safety problem, it has an obligation to notify consumers. However, manufacturers are aware of the tremendous cost involved in having to repair or replace engine, systems or other parts and sometimes either make a conscious decision to not report the data or hide it in hopes that the NHTSA will decide not to investigate or issue a recall. If this occurs and someone is seriously injured or killed because of the defective part or condition that the manufacturer knew of but failed to act upon, then punitive damages may be available in addition to other compensation. In Massachusetts, punitive or exemplary damages are available in wrongful death cases and in 93A Consumer Protection cases. Such a scenario did occur when GM issued a recall in 2010 for a number of its vehicles regarding an ignition switch problem that would turn the engine off without warning but evidence showed it had knowledge of the problem from at least 2006. If recall notices were sent out and you were injured or a loved one was killed because of the defect, you may be slightly comparatively responsible if you failed to act for an unreasonably long time after the notices were sent, but not if you were unaware of the recall and never received a notice by mail. Call Boston car accident law firm Burns & Jain if your injuries were caused by a defective condition or part in a car that was the subject of a recall. You will need the legal services of a car accident lawyer who has successfully handled such claims in the past and obtained substantial compensation for his clients. Call his our today for a free analysis of your injury claim.